If you want to see a show at a possibly-haunted theater or see the batmobile up close and personal, Springfield has a spot for you. 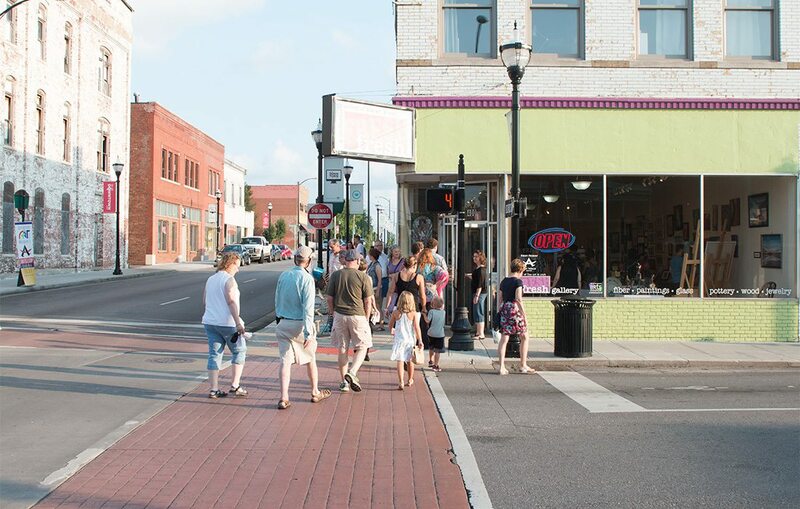 We've rounded up the best things to do for newcomers and visitors to check out while in town. Oct 17 2018 at 12:30 p.m. Whether you’re visiting Springfield or you just moved here, mapping out a plan of things to do can be tough. 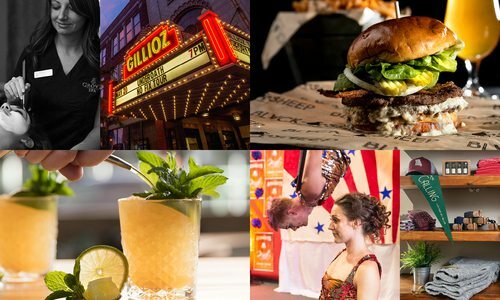 So you can make the most of your time, we’ve rounded up the best food and fun the Queen City has to offer. If you're only here 24 hours, pick an activity from a few of the categories and have an action-packed day. This busy breakfast joint has everything you need for the perfect meal. There’s traditional breakfast items, to-die-for sweet potato tots and tons of boozy beverages. We recommend kicking off your day with a classic bloody mary or breakfast margarita. Back in the day this downtown staple was a pharmacy that also sold burgers and shakes to its customers. Now, it’s a full-service cafe and one of the most popular spots in Springfield, serving breakfast and lunch all day. You can even build your own enormous omelet or enjoy a super-tasty breakfast burrito. 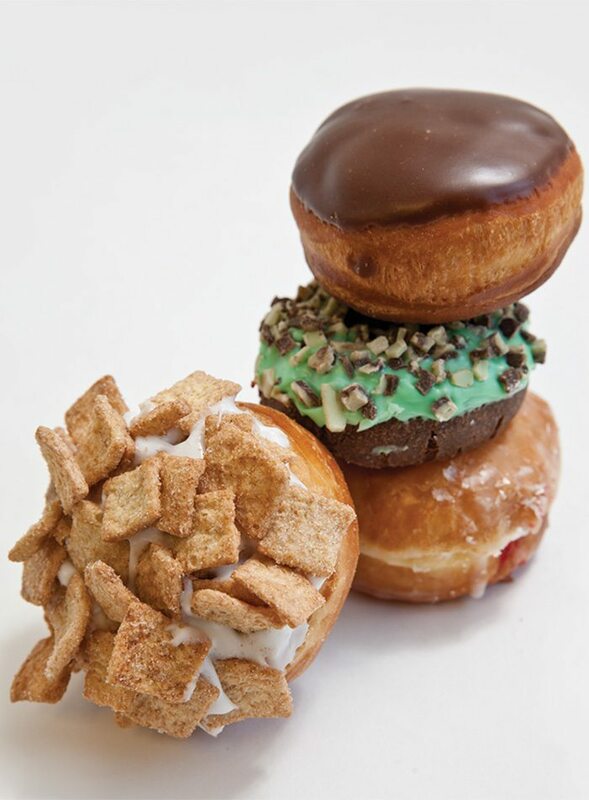 If you’re looking for something on the sweeter side when you wake up, Hurts Donut has your name on it. The crazy topping limit does not exist for these folks. Fruity Pebbles, bacon, Andes Mints, cotton candy, marshmallows—you name it and Hurts Donut has probably put it on a donut. At one point, the dill pickle donut went viral. We dare you to try it. 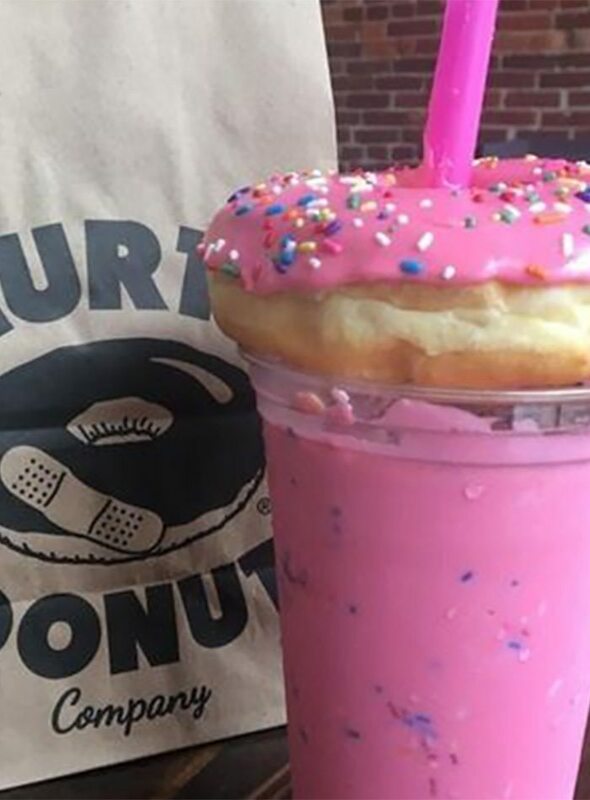 Hurts Donut is known for its crazy creations. Milkshakes at Hurts Donut are made to match the donut you choose to accompany it. 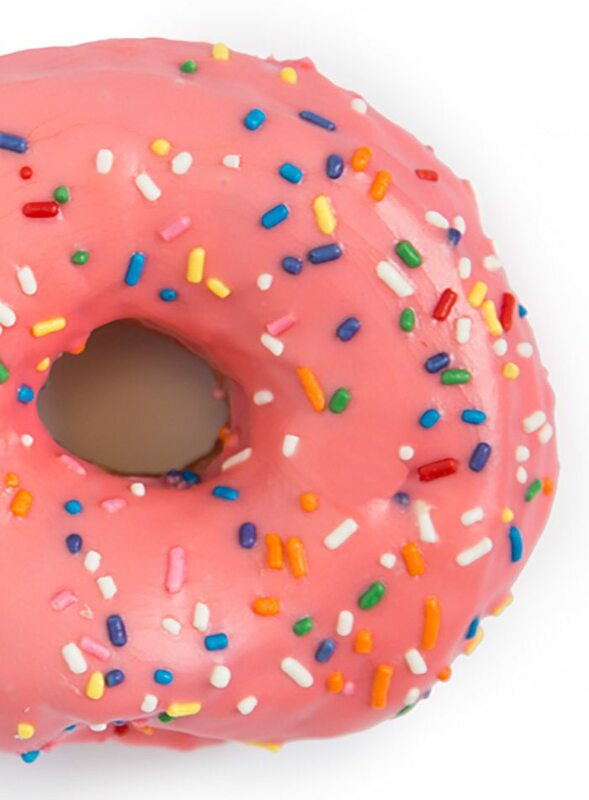 You can opt for a typical donut topped with sprinkles and icing if the other unique flavors aren't for you. The unique flavors at Hurts Donut always have people coming back for more. 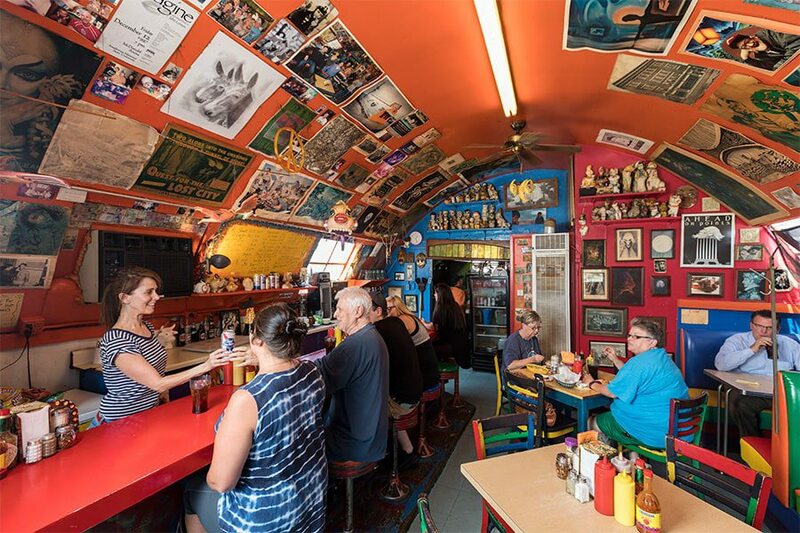 This restaurant has been serving up overflowing bowls of chili in a Quonset hut since 1909. 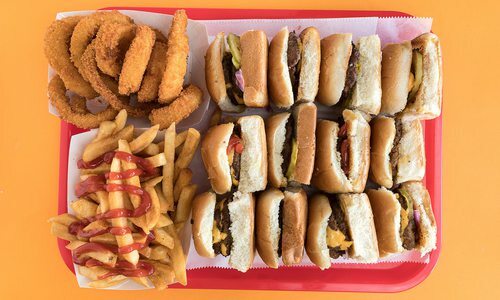 Fair warning: It’s only open until 4 p.m., so choose your timeline wisely. Tucked away in Springfield’s dreamy Rountree neighborhood, this tea room is the absolute cutest. The covered patio is the perfect spot to spend your afternoon while you eat one of the lunch entrees. Cheeseheads will salivate at the grilled mozzarella. Ask your server about weekly promotions like half-off wine on Wednesdays. Right in the heart of downtown Springfield next to the historic square is this cozy cafe that serves up authentic Italian food. Try one of the handcrafted sandwiches or one of the signature pastas that are sure to have you coming back for more. 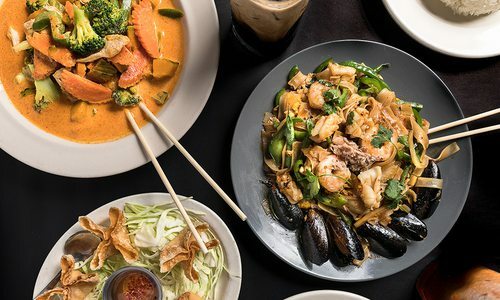 This Thai favorite is housed in a massive historic home on Walnut Street. There’s a back patio that is perfectly shaded by trees, and the portions are big enough to keep you full well after dinner ends. 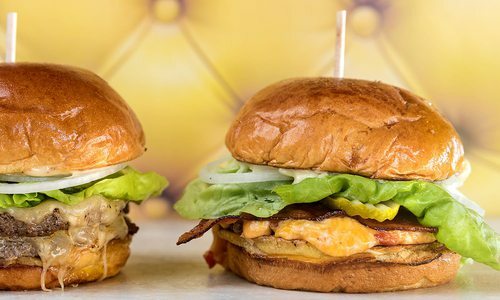 Located on the southeast side of Springfield, Metro is a great option for a fancier dinner and drinks. There’s seafood, pasta, salad, chicken, pork… shall we continue? If you go, you’re gonna need to order the flash-fried spinach that’s topped with Parmesan cheese and lemon juice. Another fan favorite restaurant is Flame Steakhouse. They specialize in dry-aged steaks along with classic steakhouse dishes. Head down the spiral staircase and you’ll find Red Room, a dark bar that hosts a killer happy hour with food and drink specials. 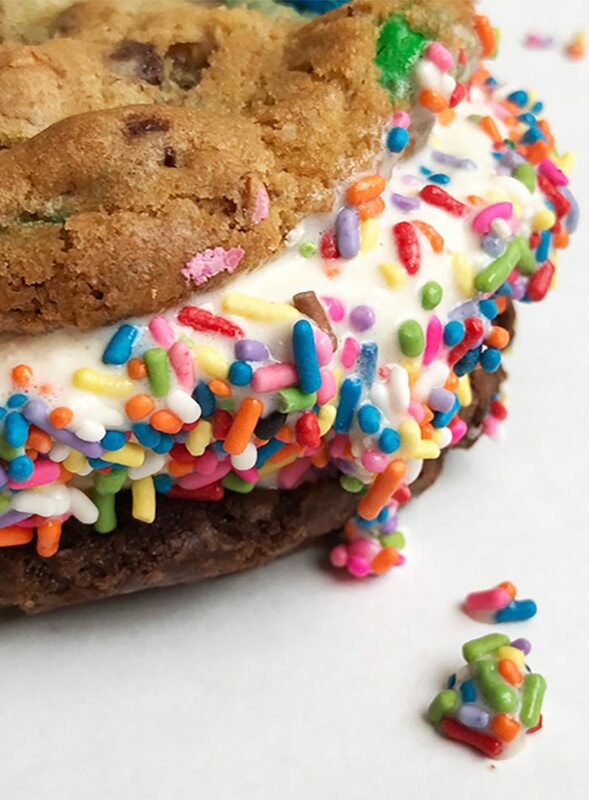 A massive ice cream sandwich with cookies is also on the menu. You can add toppings to whatever flavor you choose to make it even more sweet. There are nearly 20 types of cookie dough to choose from. 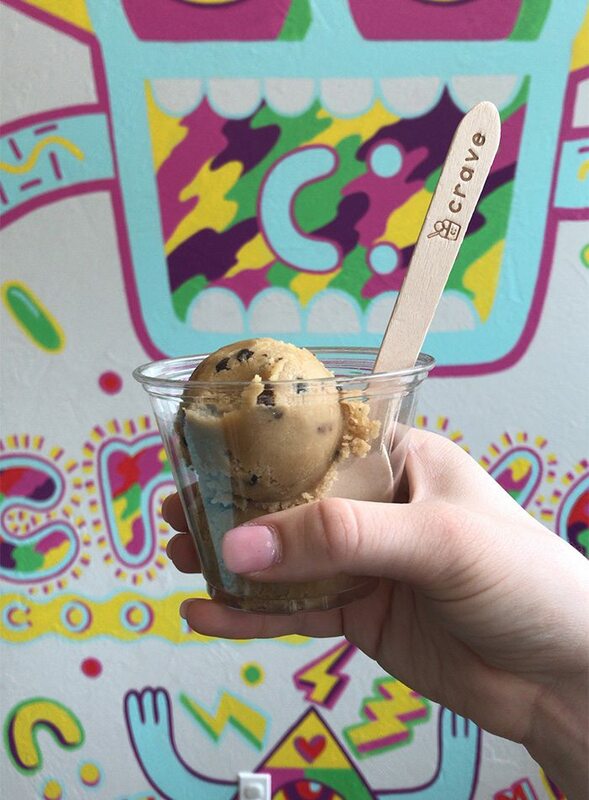 Crave Cookie Dough has taken Springfield by storm with its edible cookie dough. They have seasonal options too. 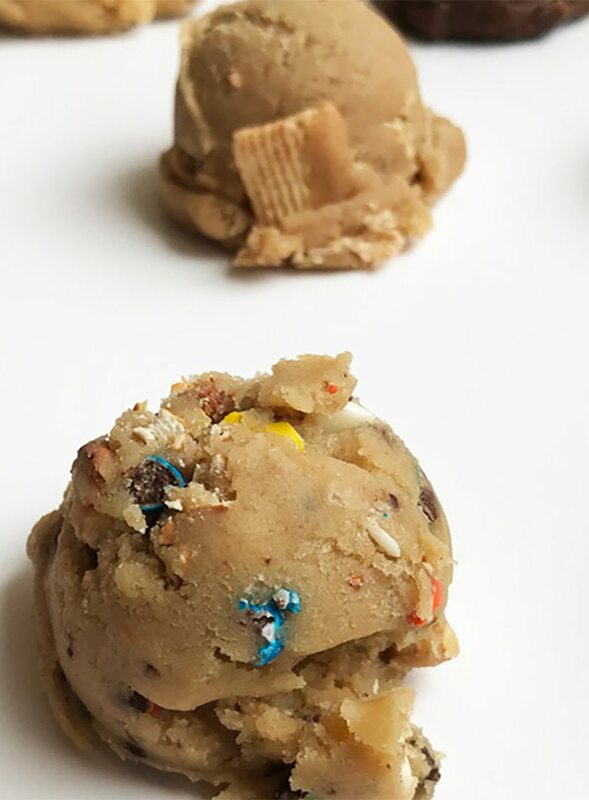 This spot offers up edible cookie dough in a variety of flavors and formats including by the scoop, ice cream sandwiches and shakes. They have gluten-free and vegan options, too! People are pretty proud of Andy’s around here. Headquartered in Springfield, the frozen custard company now has franchises in 11 states. When a new seasonal treat hits stores, it’s basically a local holiday. They even made us our very own sundae for our 20th anniversary that we can’t stop ordering. This summer-time dessert has been available for over 40 years and the original recipe is still used. During the summer months mobile units take the streets of Springfield by storm and offer up six tasty flavors. When you see a Pineapple Whip cart pop up, you know it's finally summer time. Boasting a massive beer selection and grassy backyard, Mother’s Brewing Company is a Springfield staple, indeed. Constantly unveiling new brews and hosting events like backyard movies and festivals, it’s a good spot for a family outing. If you’re super into suds, stop in for a tour of the facility. If you’re looking for a refreshing drink—sans booze—try a fresh pressed juice here. The basil-mint lemonade is sure to cool you down after some time in the sun. If your stomach is rumbling, the menu is filled with healthy food options like the head-turning charcoal waffles. This tropical-inspired bar serves up seriously strong a delicious cocktails right on Park Central Square. When the weather is warm, they open up their garage door, making any day feel like vacay. Slurp on a painkiller or ask your server what frozen drinks are on tap. There’s also a selection of small plates that pair perfectly with the summery drinks. Photo by Brandon AlmsGlass garage doors open up at Golden Girl Rum Club during nice weather, which adds to the summery feeling of the bar. Located near the always-adorable Phelps Grove Park, this museum is the city’s oldest cultural institution. Outside you’ll find the “Sun Target II” sculpture by John Henry, an abstract bright yellow epitome of a stellar social media backdrop. Inside, hunt down the museum’s first purchase in 1928: a landscape painting by Philadelphia artist Mary Butler. The best part? It’s free admission. U.S. Route 66, also known as the Main Street of America, is what brings a lot of people to Springfield. It was one of the original highways in the U.S. highway system and the route makes for the perfect road trip. So, it’s only fitting that there is a classic car museum dedicated to the Mother Road. Some of the most notable cars on display are the 2007 “Resident Evil” Zombie Protection Truck and the 1979 Gotham Cruiser, aka the batmobile. Bass Pro Shops Owner Johnny Morris doesn’t mess around when he builds an attraction, and his newest creation, Wonders of Wildlife, is no exception. 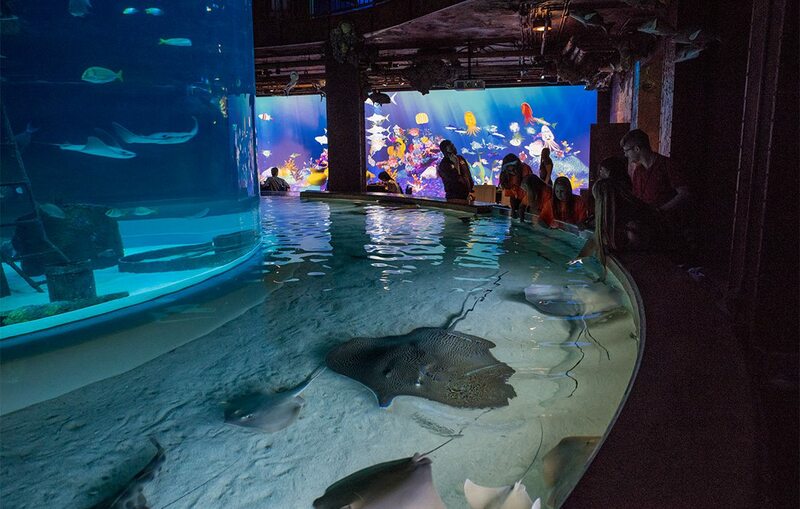 This must-see aquarium opened in September 2017 and it has already been voted America’s Best New Attraction. And rightfully so, considering it is the largest, most immersive fish and wildlife attraction in the world. It has just about everything you could imagine from jellyfish to chinchillas. Photo courtesy Bass Pro Media CenterWonders of Wildlife is a huge aquarium, so be prepared to walk. The only ride-through cave tour in America is right here in the Queen City. Stalactites hang from the ceiling and stalagmites rise from the cave’s floor, making it appear like the mineral formations might touch. The Jeep journey lasts about an hour, and the temperature is a cool 60 degrees the whole time, making it the perfect activity for all ages. If you’re looking for a little relaxation, Nathanael Greene/Close Memorial Park is your best bet. You’ll find a breathtaking succulent garden, butterfly house, children’s play areas and a quiet lake with a paved walking path. Bring $4, and wander around The Mizumoto Japanese Stroll Garden to see a large koi lake, moon bridge, meditation garden and top-notch landscaping. 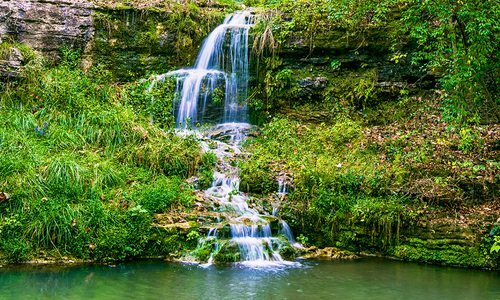 April showers bring May flowers, so southwest Missouri is sure to be in full bloom this month. Grab your favorite trail buddy and start exploring one of our many local trails with great views. 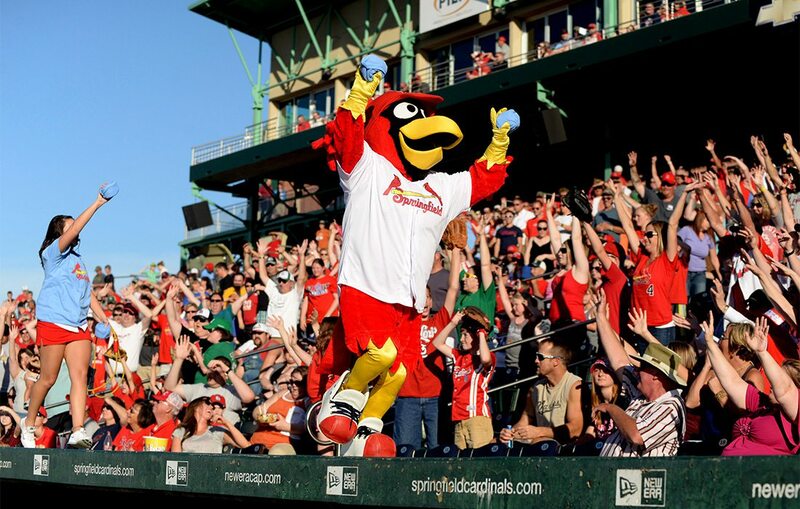 Photo Courtesy of Springfield CardinalsCardinals fans celebrate at Hammons field. A Springfield Cardinals game is the perfect excuse to get outside. The team is a St. Louis Cardinals minor league affiliate and plays at Hammons Field, which is named after legendary Springfield developer John Q. Hammons, who also built the tallest skyscraper in the city’s humble skyline. Check the calendar for $1 hot dogs, $1 bratwursts, days where you can bring your pup, fireworks and more. The Missouri Sports Hall of Fame was founded by John Q. Hammons in 1994, and it’s been a popular stop in Springfield since. A ton of “Show-Me” state sports stars have been inducted including Stan Musial from the St. Louis Cardinals and Bobby Bell from the Kansas City Chiefs. There are more than 4,000 items of sports memorabilia and exhibits to keep you entertained. It’s pretty dang cool that Springfield has a professional tennis team. The Springfield Lasers typically play in July and August at Mediacom Stadium at Cooper Tennis Complex. Arrive before the game to grab a bite to eat and listen to music. This neighborhood brewery makes its beers in small batches, so the flavor is always fresh. Sit under the twinkly lights on the outdoor patio or enjoy the live music that plays on certain nights. Great food and drinks are housed in this tavern that has been open since 1870, which claims to be the oldest tavern in Springfield. The tap is filled with Missouri beers and the menu features fresh food. If you want to swing by during the day, there is a brunch menu full of unique dishes like the breakfast poutine that includes fries, sage and rosemary sausage gravy, bacon, egg, cheese curds and green onions. 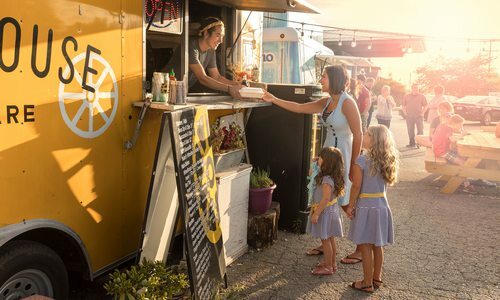 Every first Friday of the month, downtown Springfield transforms into an expansive art gallery when local artists and businesses set up work for people to admire and buy, plus there are food trucks lined up around the square so you can grab a quick bite to eat too. The four-story historic brick building has been rumored to be haunted by a number of ghosts who are connected to the theater in one way or another. Performers swear they can see ghosts and orbs watching them perform from the balconies. The venue hosts plays, musicals, local opera and ballet companies. Check out upcoming shows here and maybe catch a glimpse of an extra guest. This theater opened in 1926 and has been hosting popular shows and famous musicians since. B.B. King, Peter Frampton and Andra Day are just a few people who have graced the stage. Attend an upcoming event. Shows at Improv Theatre are Friday and Saturday, but if you’re brave enough you can take improv classes and become one of the performers. Whether you have just practiced jokes in your bedroom or you're a seasoned comedian, you can jump on stage at Blue Room Comedy Club! Springfield is full of great spots to snap a picture in front of for your Instagram. 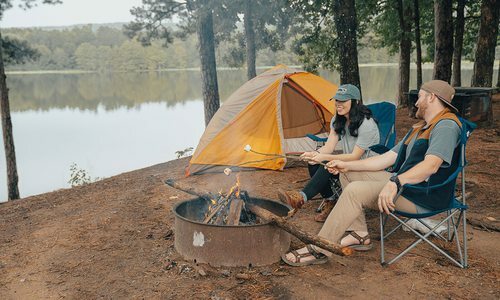 We’ve rounded up some of our favorites so that you can head straight there. While you're at it follow us on Instagram to stay up to date with everything happening in town. Andrea Ehrhardt, an up and coming artist in southwest Missouri. Yes, it really is giant. It’s 35-feet tall and weighs 11 tons. This isn’t just any bathroom selfie. Hotel Vandivort is known for having the best lighting. Another mural created by Ehrhardt has turned the heads of people making their way through Springfield. 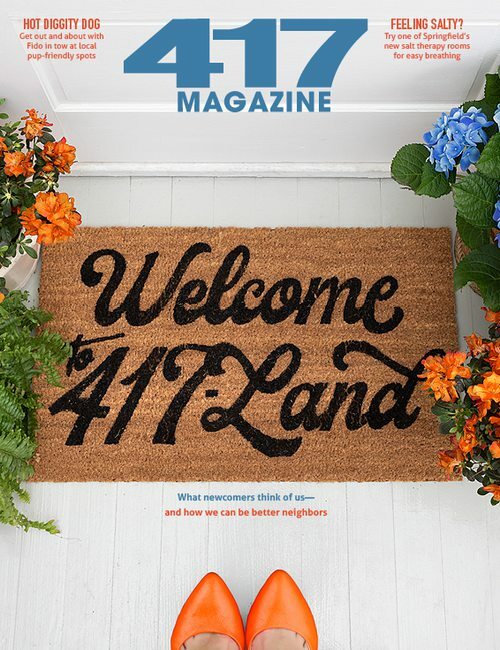 Use our calendar to stay up to date with everything happening in 417-land.